Museum of bad album covers: the worst album covers ever! #5. 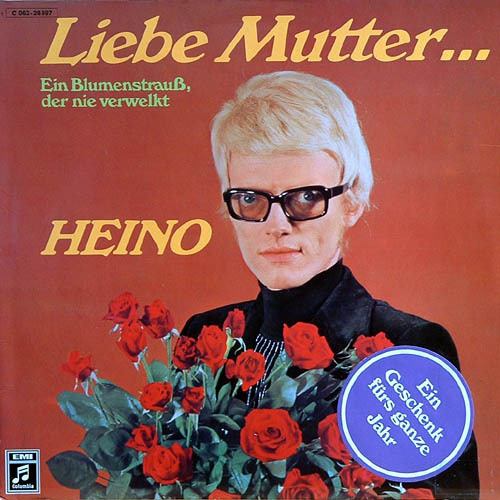 19) This "heinous" sleeve from German songster "Heino" is titled; "Dear Mother... a bouquet that never wilts". Currently appearing live at the Bates motel. 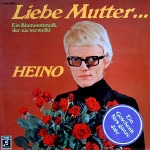 *Heino is now featured on Bad Music Radio! 20) The Scorpions "Virgin Killer". 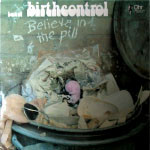 Widely acknowledged to be one of the most ill judged album covers of all time. It probably won't surprise you that they had to do a "Smell the Glove" with this one, and hastily come out with an alternative design for the puritanical U.S.! 21) It's those Teutonic metal meisters the Scorpions again, proving that they are serial offenders when it comes to warped sleeve designs. 22) German prog rockers "Birth Control" with a cover for the UK version of "Operation", where the name of the band is symbolised by an eel in a condom ... The orginal (German) version depicts a horrific arachnid type creature eating babies, then excreting their used up husks. Looking over this is an old man who looks like he is conducting. 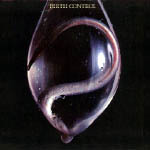 No one could ever accuse them of going for bland, innoffensive album covers! 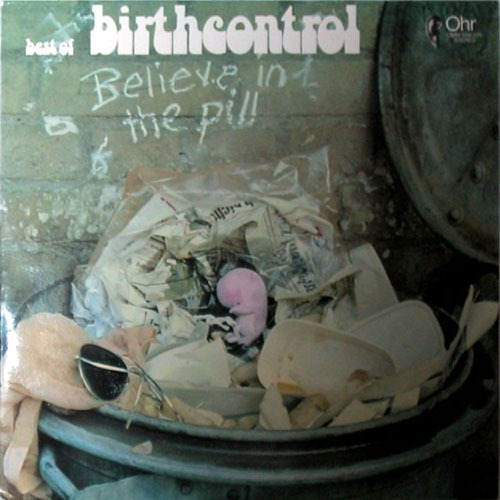 23) Birth Control scrape the barrel even further here, with their "foetus in a bin" cover for "Believe In The Pill". Thanks to er "What ho" for pointing this one out to me.